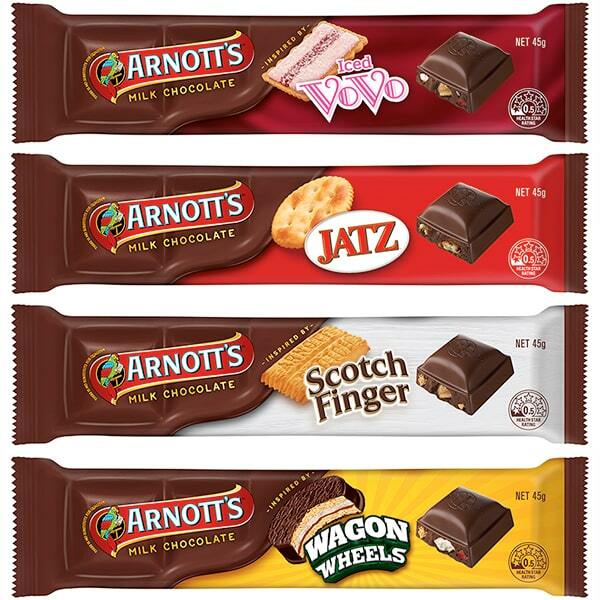 Arnott’s has launched a range of biscuit chocolate-y products and even though one of them is ‘Jatz’ flavoured, we’re cheering. Australia’s favourite classic biscuits have been re-imagined by the brilliant biscuit-eers, with five classic flavours taking on more of a chocolate block/bar role. So yeah – they’re chocolate blocks, but biscuit flavoured! Is this the best of both worlds, or what?! These bad boys will actually hit the shelves next week, so if you can save a few dollars over the Easter long weekend, you can stock up from Tuesday. The five flavours (drum roll) are Iced Vovo, Scotch Finger, Wagon Wheel, Ginger Nut and Jatz. While we’re a bit hesitant over the Jatz flavour… we’re so ready. Just to give you an idea of how totally amazing this is, Arnott’s are calling it their ‘biggest product launch in the brand’s history’. Their media release was also appropriately titled: ‘Project Awesome’. Good morning, happy Friday, here’s to the weekend! Krispy Kreme recognises how sweet it is to get to the end of the working week, and they’ve made it even sweeter. Today only – Friday April 12 – Krispy Kreme stores across Australia are selling 12 original glaze doughnuts for $12! Imagine walking into work with a dozen doughnuts today… you’d be the most popular person in the building! A dozen original glaze doughnuts would usually set you back $19.95, so yeah, you’re really only saving less than $7. But a bargain is a bargain, and if you can’t eat 12 doughnuts on a Friday then what are we living for? Alright, we’ll quit the drama. Here’s where you can grab your doughnuts across the country. The World’s Sweetest Internship is back on the job market for 2019 – and man, oh man… get ready. Mars Wrigley Confectionery – the Gods responsible for candy favourites such as Snickers, Twix, M&Ms, Mars Bars, Starburst, Hubba Bubba, and soooo many more – are looking to hire an intern who will…. Get to eat candy all the time! Seriously, one of the key responsibilities is ‘taste and develop a deep appreciation for confectionery products from around the world’, like we don’t already have a deep appreciation for candy. Come on guys. Also – there are heaps of other ACTUAL benefits, like getting clued in on the manufacturing and production process, and helping out with events and activations to do with the candy community or something… okay, we blacked out a bit during this part. HOWEVER – The World’s Sweetest Internship is fully paid, with a super-sweet signing bonus of ONE YEAR’S WORTH OF CANDY. This is not a drill!! 7 Eleven is giving out FREE Krispy Kreme Hot Cross Doughnut’s today only! 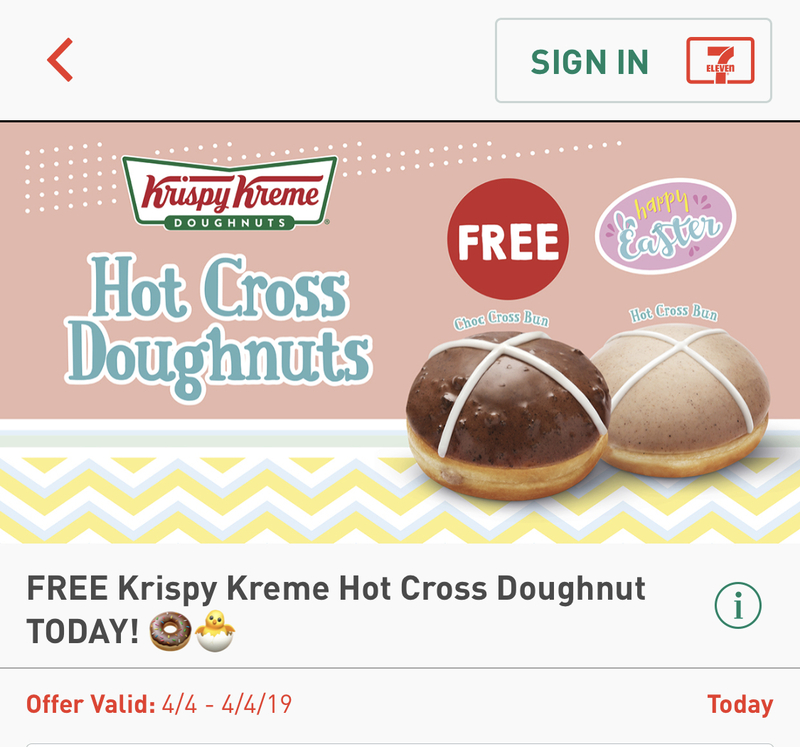 Easter is just around the corner, and Krispy Kreme have this delicious sounding, Easter-in-a-bite doughnut, and it’s completely free today! All you have to do is download the 7-Eleven Fuel app via the app store, and check out the ‘My Offers’ tab for the bar code. Then simply, walk into your nearest 7-Eleven store, demand an Easter-filled dessert delight, present your phone for the scanning, and proceed to roll on the floor in your own drool. They’re probably going to run out of the Hot Cross doughnut in 2.6 seconds.